The quilt guild I belong to, Proper Bostonian Quilters, makes dozens of quilts for charity every year. 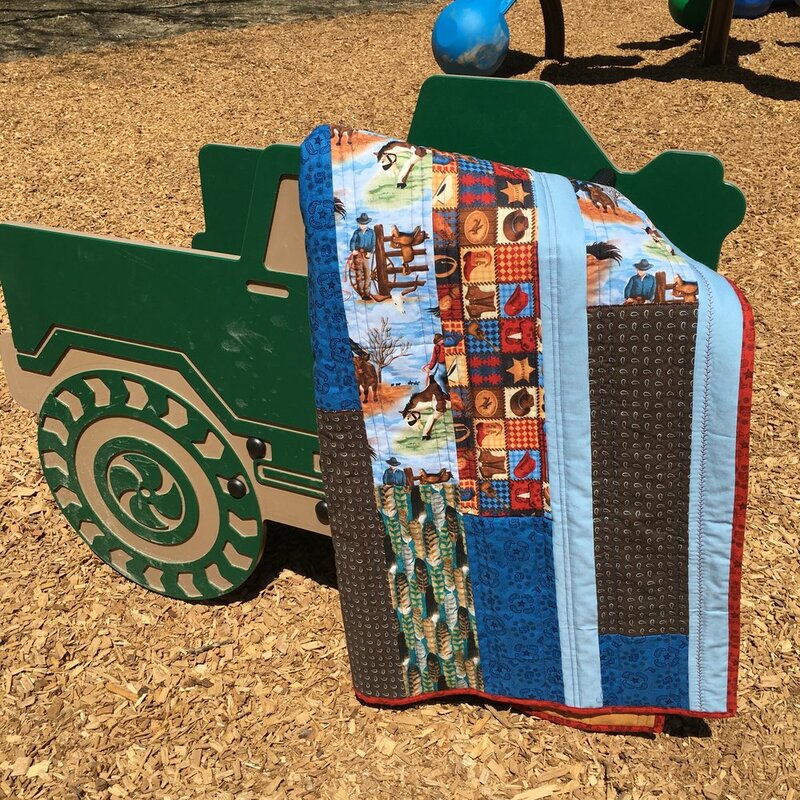 Quilts of all sizes and shapes are collected but quilts for toddlers and preschool children are especially welcome. I was so excited when I saw the free tutorial and pattern for the Strip Quilt on Modern Textiles website. It's perfect for a small quilt that works up quickly. I especially love the way the wide strips can feature a special fabric. (The pattern has options for a variety of sizes. I made the crib quilt). The pattern calls for 5 1/2 inch wide strips. I added 2 1/2 inch strips of solid colors to widen 38 x 50 inch pattern to that takes full advantage of a 42 inch backing. 3 extra strip seems perfect. (The quilt above has 4 solid strips because the patterned strips were cut 5" wide). I chose to do linear quilting and used some of the fancier quilting stitches on my machine. But free motion quilting would also be great. Here's a another Strip quilt I recently made using a fabrics from a single collection. Sewing quilts using this pattern is such a happy activity! I really had fun.